Sanjeev Gupta plans to build a massive battery complex in the same region where Tesla completed its record-setting battery system late last year. How many billionaires does it take to turn on a giant battery? 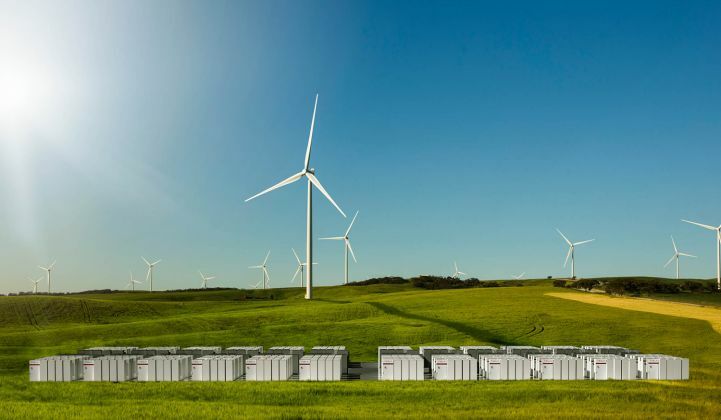 Elon Musk set a record with his massive South Australia battery last year. Now it's a target for another ambitious billionaire. British businessman Sanjeev Gupta plans to build a 120-megawatt/140-megawatt-hour battery complex in the same region where Tesla completed its 100-megawatt/129-megawatt-hour system late last year. Gupta runs Liberty House, a commodities business that in recent years made a run of buying up old steel manufacturing assets. Last year, it purchased Arrium, an Australian mining and metals company, which gave Gupta control of the Whyalla steelworks in South Australia. The new battery project will connect with a solar plant that Gupta is building to power the industrial site. The state government has awarded the storage project a $10 million loan from the Renewable Technology Fund, local news reported. The Tesla battery was attached to a Neoen wind farm and framed as a tool for keeping the grid balanced in the face of changing energy mix and increasing renewable generation. Gupta's battery is intended to provide cheaper electricity for industrial activities at his own firm and beyond. “These first steps in [South Australia] will improve reliability and greatly reduce costs of electricity in our own steelworks at Whyalla, and provide competitive sources of power for other industrial and commercial users,” Gupta announced in October. At the time, he was planning a suite of clean energy resources that included 200 megawatts of solar PV, 100 megawatts/100 megawatt-hours of battery storage and a 120-megawatt/600-megawatt-hour pumped hydro energy storage facility in a former mining pit, The Guardian reported. To carry out the development, Gupta bought a majority stake in Zen Energy, an Australian company that handles clean energy sourcing for commercial and industrial clients. Since last fall, Tesla delivered on an audacious Twitter promise to produce the world's largest battery in 100 days. Perhaps not coincidentally, Gupta's project has now increased in power and energy capacity just enough to top the world's current lithium-ion record holder. That title is starting to shift owners with some frequency, a trend that will likely continue as more companies ramp up to large-format battery development -- what Fluence COO John Zahurancik calls "the 100-megawatt club." Tesla is the sole member based on completed projects, but Fluence is building an even bigger 100-megawatt/400-megawatt-hour system in California by 2021. The triple-digit capacity numbers are eye-catching, but sheer size isn't everything. Storage derives value from its location on the grid, particularly near load pockets or transmission-constrained areas. "In many power systems, having multiple 50-megawatt systems at different parts of the grid may be a better benefit than having one 200-megawatt system," Zahurancik said previously. That said, industrial facilities like the Whyalla steelworks have massive electrical needs. Siting a major battery system near them ensures reliable power amid a fluctuating grid, and could provide some additional revenue on the side.